Howdy partner. 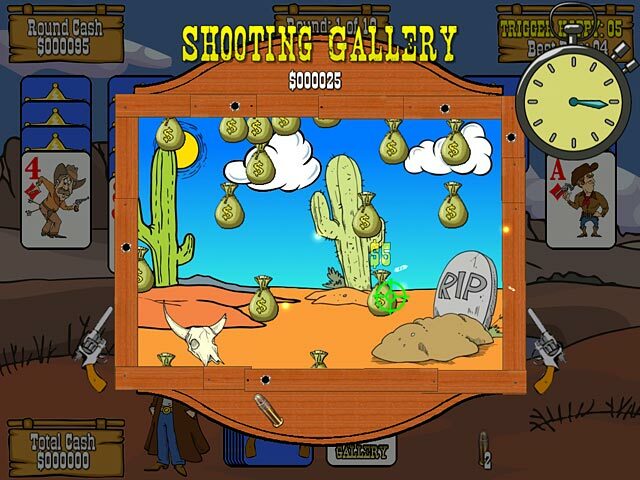 Time to wrangle up your card slinging skills for an Old Western showdown. Can you locate The Lost Gold Mine and The Treasure inside this historical American tradition? 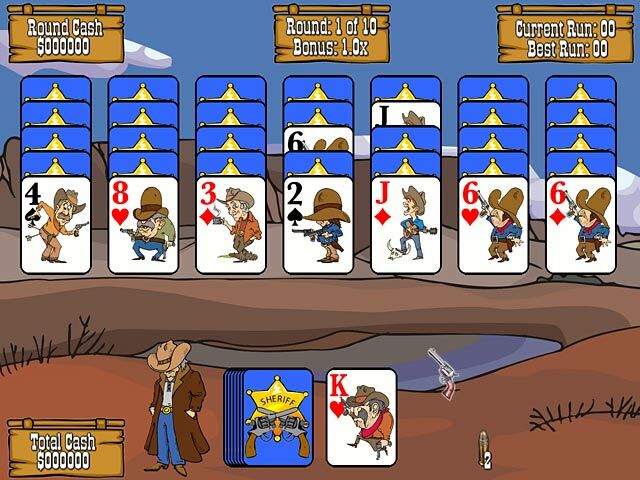 Travel the Wild West while earning money as a solitaire cowboy. Enjoy 10 various stages and 10 actionable rounds. 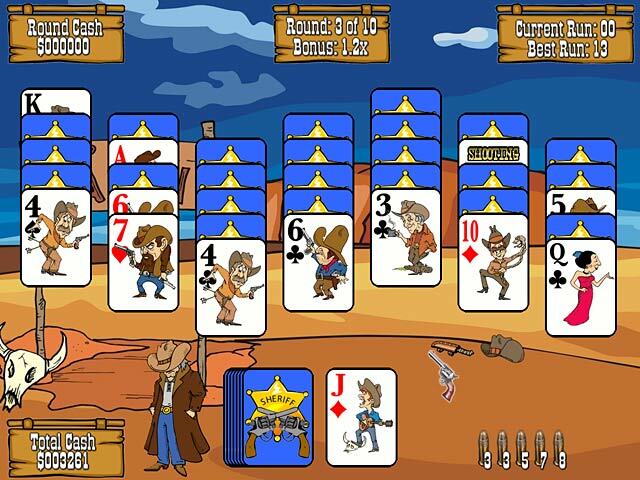 Show no mercy when the cards are stacked in Gunslinger Solitaire.